Feldman Equities LLC announced the completion of the extensive multi-million dollar renovation at Park Tower in downtown Tampa. The value-add program executed since the acquisition of the property has generated significant increases in building occupancy and cash flow. Including signed leases not yet in occupancy, the building is 94% leased, its highest occupancy in over a decade. The renovation of Park Tower was instrumental in bringing over 22 new firms to the building, 15 of which are new to downtown Tampa. “The use of glass and light combined with a stellar amenities package succeeded in repositioning this prominent historic structure as one of the most notable and exciting buildings on Tampa’s skyline,” stated Larry Feldman, Chief Executive Officer of Feldman Equities. In November 2016, a joint venture partnership consisting of City Office REIT, Inc., Feldman Equities and Tower Realty Partners acquired Park Tower for $79.8 million. Since that time, 170,000 square feet of new and renewal leases have been signed, bringing occupancy up from a low of 80% to 94% today. “The renovation and tenant suite upgrades have completely transformed the building and prospective tenants are responding with high interest,” said Larry Feldman. 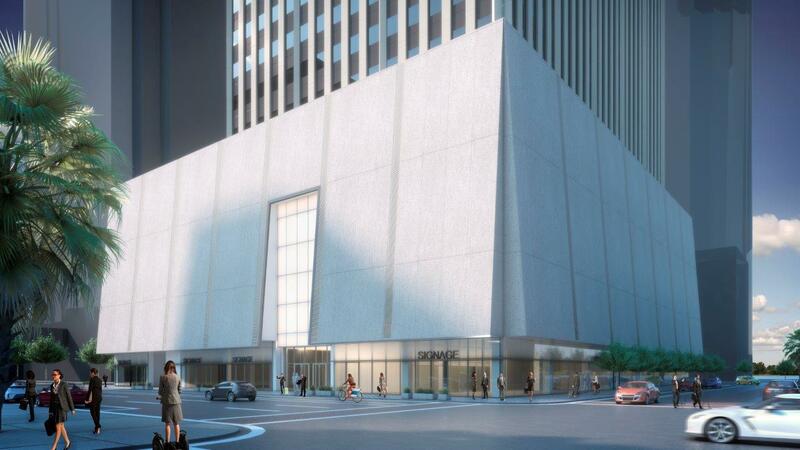 The most dramatic change at Park Tower is the modernization of the 471,000 square foot office building’s façade. In addition to painting the exterior a lighter color, a new and dramatic entrance features a ‘Light Box’ leading into a stunningly renovated lobby, complete with a new Buddy Brew Coffee café. “We love everything about this location and partnership,” said co-owner and CEO of Buddy Brew Coffee, Dave Ward. The new café’s attractive layout and design feature a cosmopolitan aesthetic and high-end furnishings to match Park Tower’s modernization. 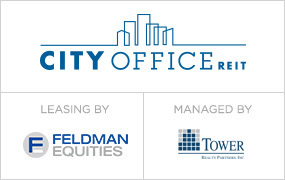 City Office REIT is an internally-managed real estate company focused on acquiring, owning and operating high-quality office properties located in leading 18-hour cities in the Southern and Western United States. City Office currently owns or has a controlling interest in 5.7 million square feet of office properties. 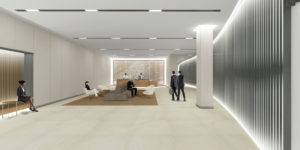 Additional information about City Office is available on the Company’s website at www.cityofficereit.com. 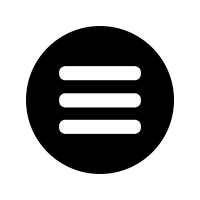 The Company has elected to be taxed as a real estate investment trust for U.S. federal income tax purposes.